Welcome to the latest edition of Winder Wonder, your twice monthly pit stop for the very best in gadgetry and technology. This week, whizz up hills on a brand new e-bike, don an exoskeleton for extra strength in the US navy, try out Instagram’s snazzy new time lapse app and meet the biggest iPad ever. If you thought the Barrington’s collection of cutting edge watch cases was futuristic, take a look at these real life exoskeletons currently being trialled by the US navy. Lightweight and flexible, this new technology, developed by Lockheed Martin, allows wearers to move freely and hold heavy tools for longer periods without incurring injury. It’s hoped that this new development will boost productivity in the construction sector and minimise workplace strains, sprains and injuries. Does size matter? If you fall into the “yes” camp, you’re probably going to be impressed by Apple’s latest iPad. It’s the biggest iPad ever, coming in at a whopping 12.9 inches. If you like your displays enormous and eye-popping, you’re going to love this new development. Coming to an Apple store near you in early 2015, this huge piece of portable tech is going to be 3 inches bigger than currently available iPads. You’d better start saving – and buy a bigger bag! If snaps of skylines, selfies and images of your dinner are starting to get old, phone snap app Instagram have just released a brand new application which will capture and share time lapse imagery. Called Hyperlapse, the app captures high quality video and allows you to turn this footage into short videos which you can then share via Instagram (with all the usual filters). Currently only available on Apple devices, this app is coming to a smartphone near you, soon. If you’re a keen cyclist with a little bit of a lazy streak, the Vanmoof 10 Electrified is the bicycle for you. This is a prototype e-bike with an integrated battery built into its frame. With a top speed of 18mph, this bicycle promises to whizz you up and down hills over a maximum distance of 37 miles. Would you consider an e-bike? Do you think bigger = better when it comes to tablets? 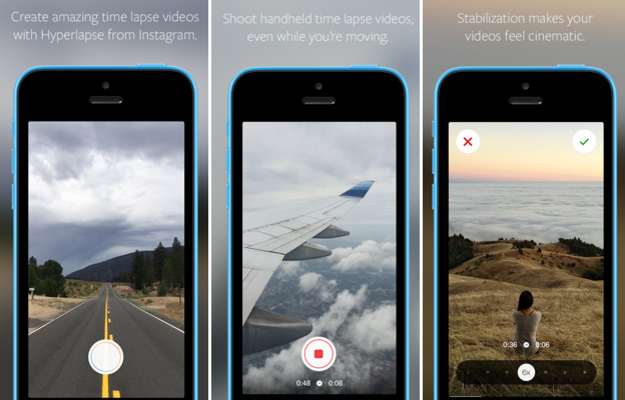 Are you keen to have a go at Instagram’s new time lapse app? Let us know your thoughts and favourite gadgets in the comments section below.